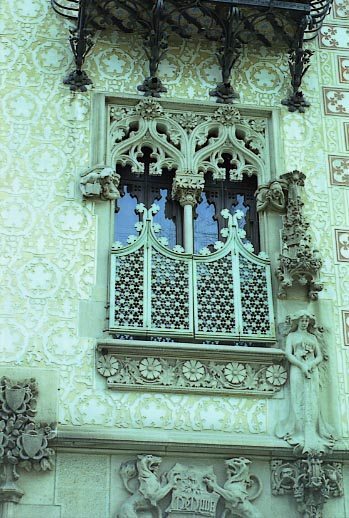 Present condition: Outside Very good, Inside Acceptable. Visits: Only allowed on the ground floor. 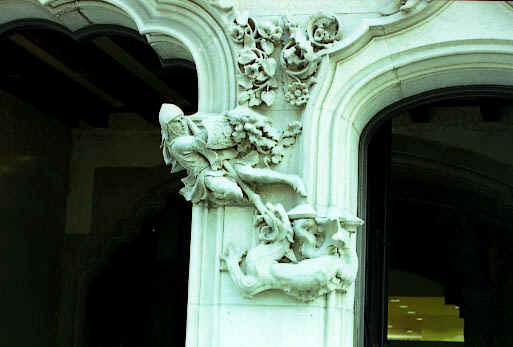 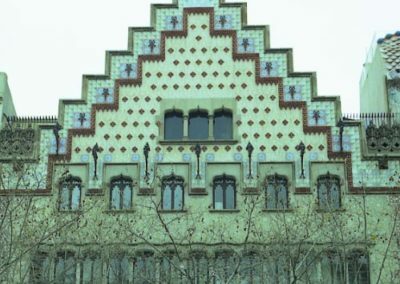 The façade of this house shows the different inspiration sources of the architect Puig i Cadafalch: Catalan neo gothic in windows and gallery and Flämish for the general “air” specially visible on the top remembering the houses of XVIIIth. 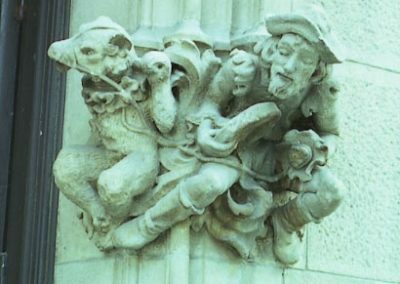 century in Amsterdam (following Permanyer and Cirici) along the channels. 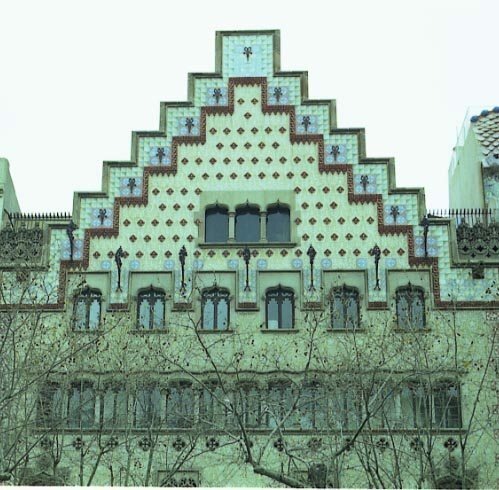 Nevertheless that variety of sources is not a problem in order to show a uniform style. 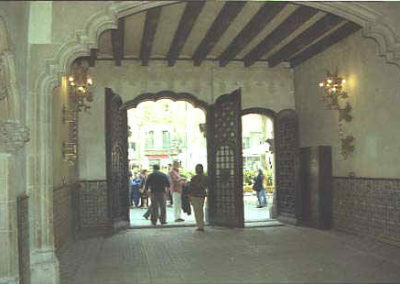 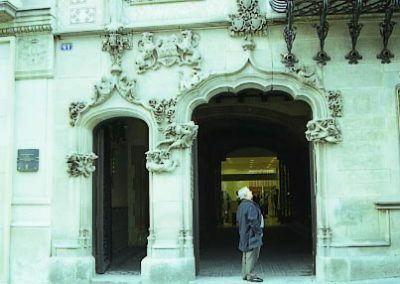 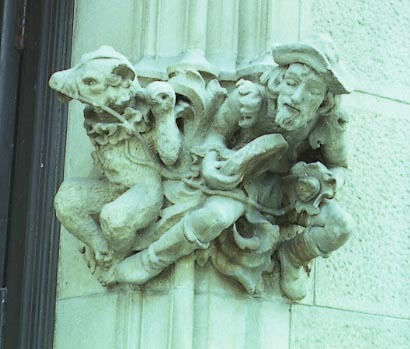 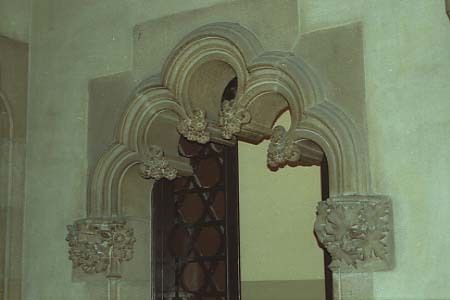 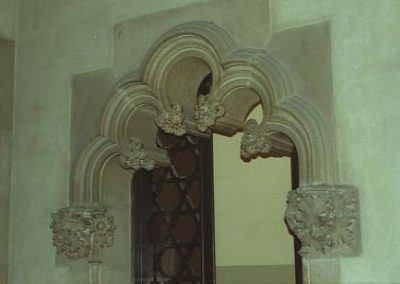 The house has two asymmetric doors who are bundled by a Saint Jorge statue, a work of the sculptor Eusebi Arnau. 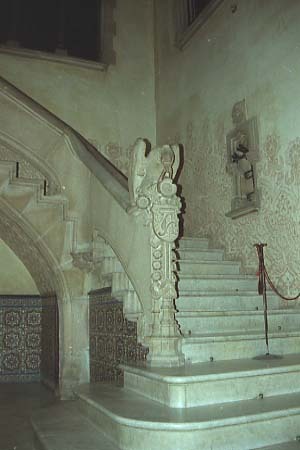 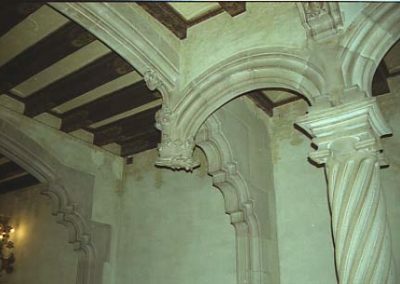 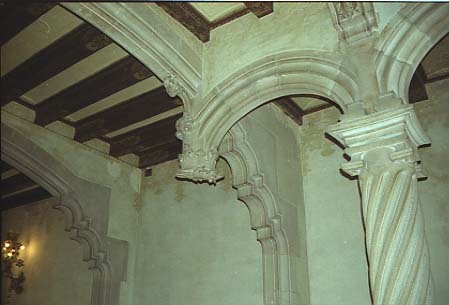 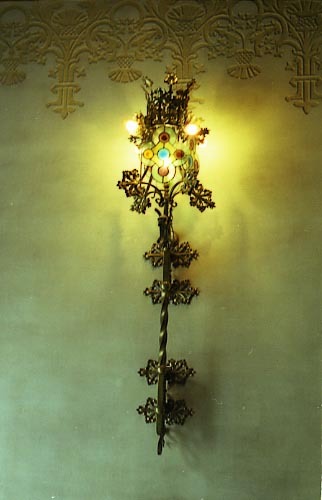 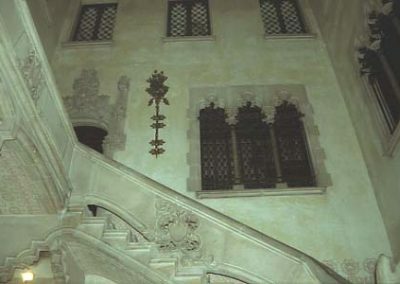 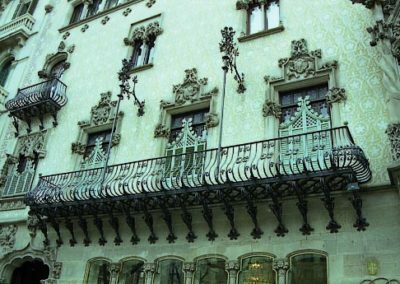 The magnificent great balcony on the first floor had been made in forged iron by the manufacturer Manuel Ballarín. 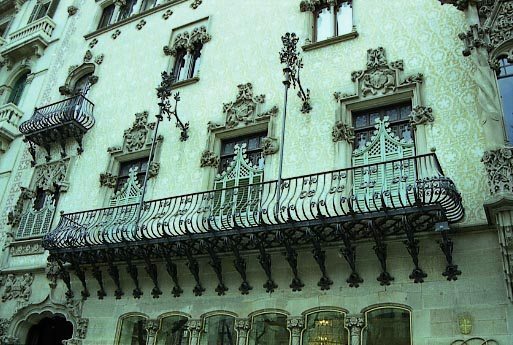 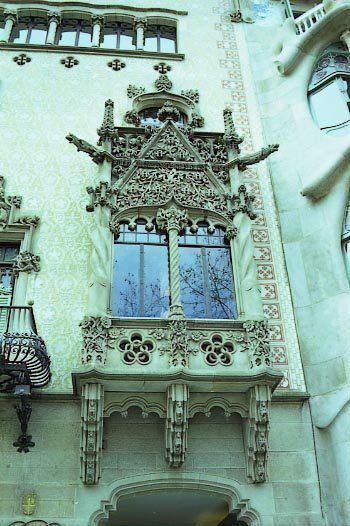 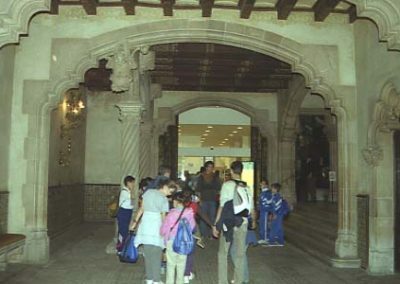 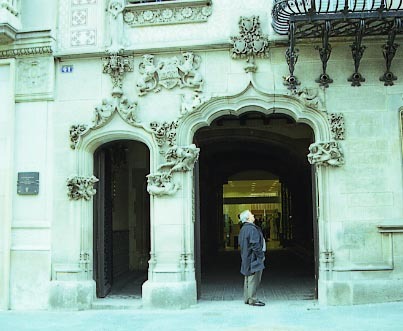 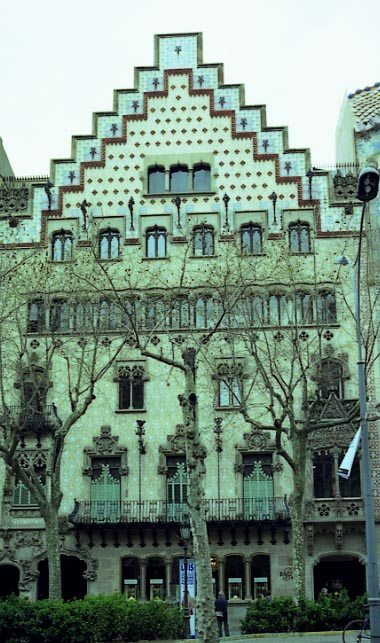 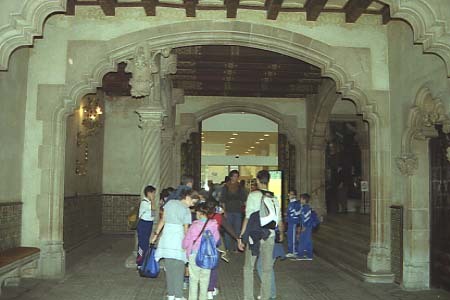 This is a private building and it is only possible to visit the ground plan, where it is a Tourist Office (see Visits) devoted to Art Nouveau in Barcelona.